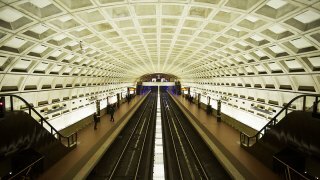 Metro trains on the Red Line temporarily bypassed the Takoma station in Northwest D.C. as officials investigated a suspicious package. An item was left unattended on the platform, Metro Transit Police said about 9:40 p.m. Friday. Someone spotted the item about 9 p.m. and contacted authorities. The package was being scanned as of 9:50 p.m.
Metro said about 10:05 p.m. that the package was determined to not have been a threat, and service was resumed.